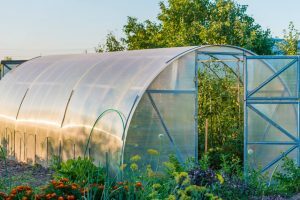 Polytunnels first appeared in the 1960’s once the plastics industry managed to produce reliable wide width polythene sheeting. They continue to become more popular each gardening year. That is the large walk in frame tunnels covered in plastic sheeting for growing a wide variety of crops from lettuces to tomatoes and raspberries. The size is, in theory, whatever you like but typical sizes for gardens and allotment plots are widths of two to five metres and lengths of two to twenty metres. A minimum workable height at the centre of the tunnel is two to two and a half metres. There are two basic designs available to buy, semicircular arc and high tent shape. Well designed, constructed and maintained they can last for years. By the way we have found two common spellings Polytunnel and Poly Tunnel. Use which one you are most comfortable with. Crops grow quicker earlier and possibly larger. The latter depending on your harvesting strategy – small is tender or giant could be a silver cup. They are per square metre less expensive than glass or polycarbonate greenhouses . There is a wide range of sizes available. 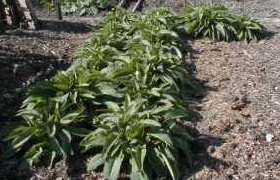 They absorb the sun and achieve the most productive germination and Spring growing temperatures two to six weeks ahead of the open garden according to your location. They protect growing plants from rain, frost, snow, hail and gales and therefore enable more autumn, winter and early spring crops to be grown. Kits to allow liquid fertilizers to be metered into the irrigation water system are available. Strength and tearability of plastic sheeting cover. Ultraviolet resistance and quoted lifespan of the sheeting. Quality of galvanised or protective painted metal framework. Possibility of fitting a temperature controlled fan so that you can use through the hottest months. You will be surprised how hot the inside of a polytunnel can become on a sunny day from June to August. Ability to partly roll the sides up in the summer if you don’t want the cost of a fan. Can shading and windbreak material be easily fitted. They may not be allowed on all allotments or there may be controls on maximum sizes. Planning laws need to be checked before constructing one in a garden. Poor fixing and air seal at soil level to stop strong winds getting under the plastic and ballooning it. If you don’t use ecological insecticides and fungicides you may build up an environment that is a health risk. If this article excites your interest in a Poly tunnel for this autumn or winter do check out several suppliers before you take the plunge. Of course if you are a handy man metalworker and have a nearby supplier of wide plastic sheeting you could rig up a DIY Polytunnel. 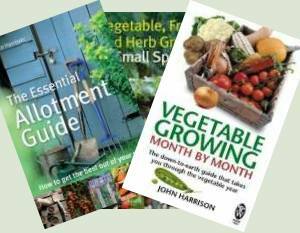 This Article is by Richard Handscombe, author and organic gardener in Spain. He is the author of a number of books on gardening in Spain.